Sat, April 28, 2018 12:00 P.M. In this 6 week course, you will learn how to swatch for both flat pieces and in the round pieces, learn to knit in the round on both circular and double pointed needles, and learn how to cable and knit lace. 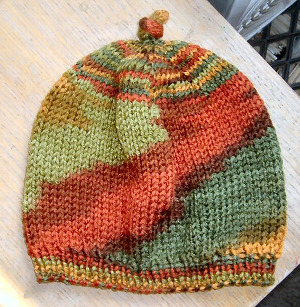 Projects include a hat, a cabled coffee cup cozy, and a cable and lace cowl. You will be responsible for all your own supplies. Please contact Jenn at jcrimmins@knittykeen.com for a supply list and more information. Registration is required as class size is limited.